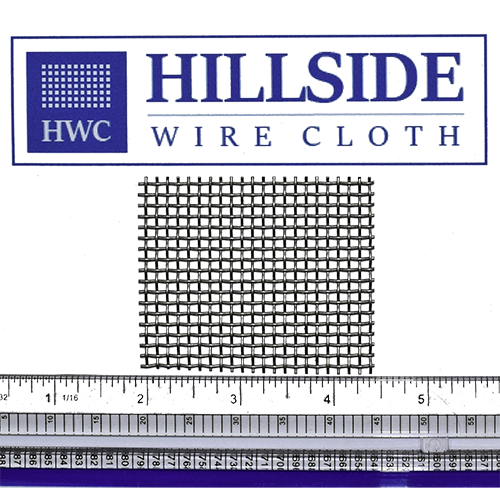 how-to-order-wiremesh | Welcome to Hillside Wire Cloth Co.
We maintain a large inventory of ready to ship Wire Mesh in a wide range of specifications and material fabrications for you to purchase now on our website including: Welded Wire Mesh, Market Grade Wire Mesh, Extra Fine Wire Mesh, Tensil Bolt Wire Mesh, Dutch Weave Filter Cloth, Mill Grade Wire Mesh, and Wire Mesh Infill Panels. Please use the links above to browse our Stocked Inventory of a wide range of Wire Mesh products available now for order from our website. Our Product is available by Square Pieces or by the Roll. You may enter data for each to receive quotes for Rolls and Cut Pieces. If you have a special wire mesh requirements please tell us about it in the comments section (below) or call us directly at (800) 826 7395. We'll be glad to help you with your specific needs.